How was your weekend? Mine was great! Saturday I went to a Marquette Basketball game (we won! ), went out to dinner at Zaffiro’s which has, in my opinion, the best pizza you can find in Milwaukee, and then went bowling with a bunch of friends. I looooove bowling – I think it’s a blast! I’m not really that great, but I always enjoy just hanging out and goofing off with my friends. It was a really fun day/night! 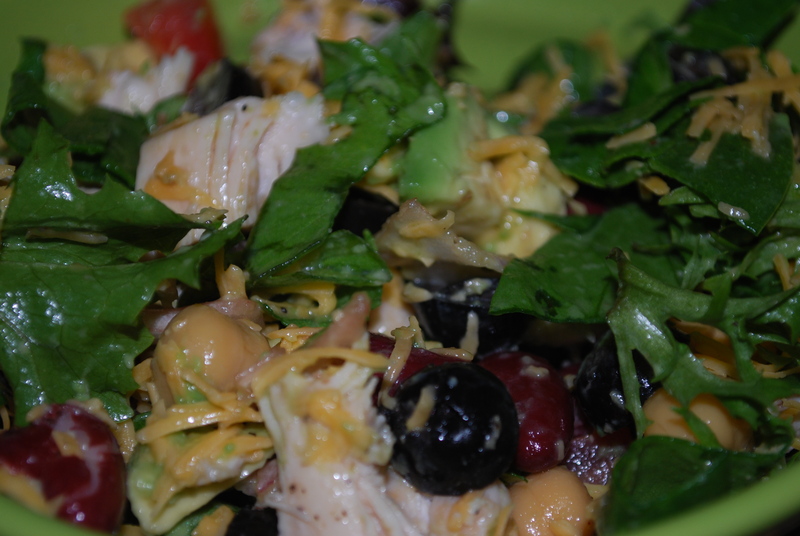 I have another salad recipe for you guys today. 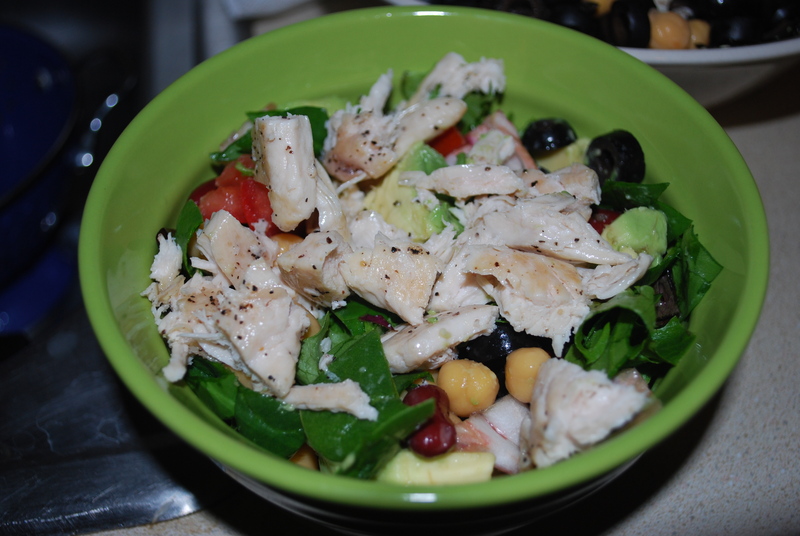 Lately I’ve been in the mood for healthier meals so I’ve been trying out different types of salads. 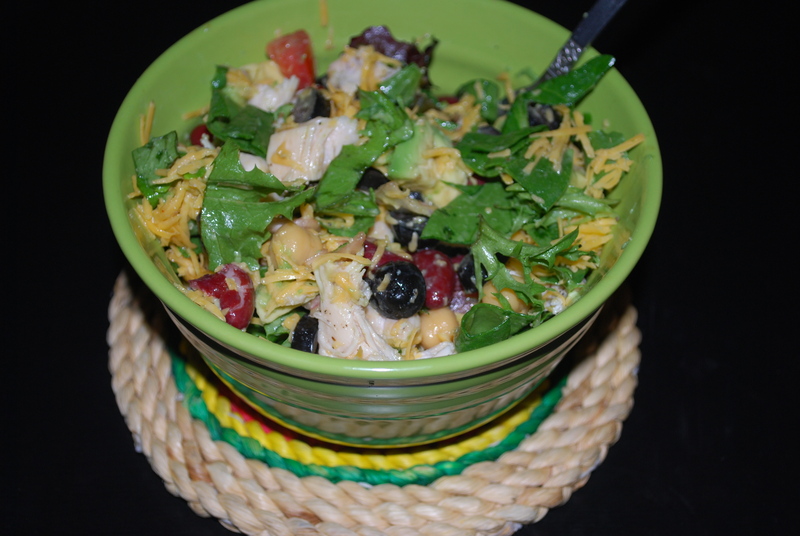 The salad I have for you today is called a Mexican Chopped Salad. It’s not only healthy, but tastes really good and is very filling. 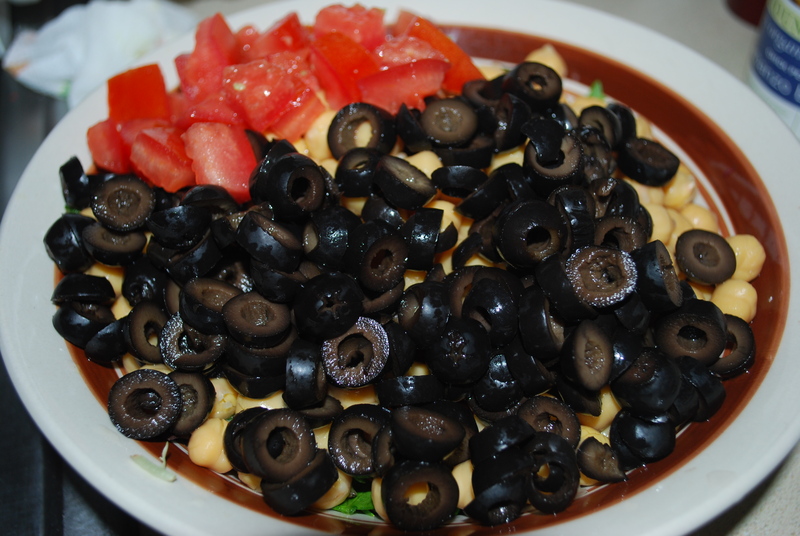 I hate those salads that fill you up at the time, but make you hungry again 30 minutes later. 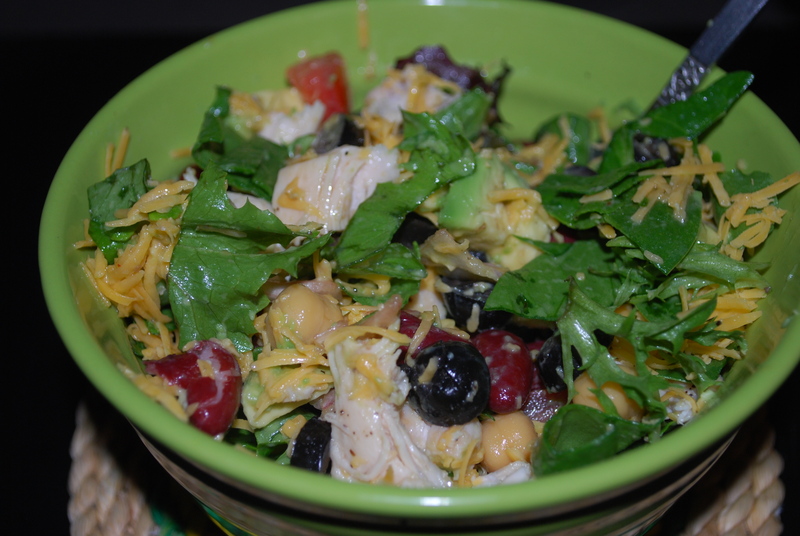 This salad has staying power and will keep you full for a while. 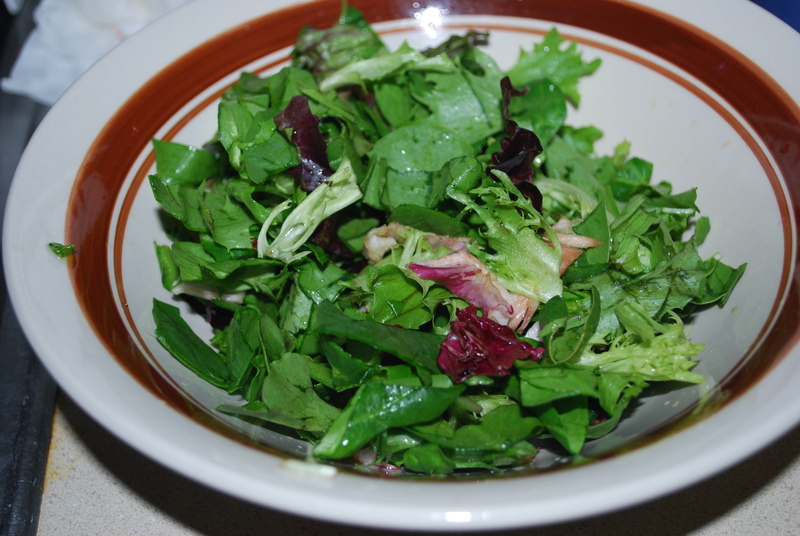 Place 1 5-ounce bag of rinsed, mixed greens in a large bowl. I cut them with kitchen scissors so the pieces wouldn’t be so gigantic. 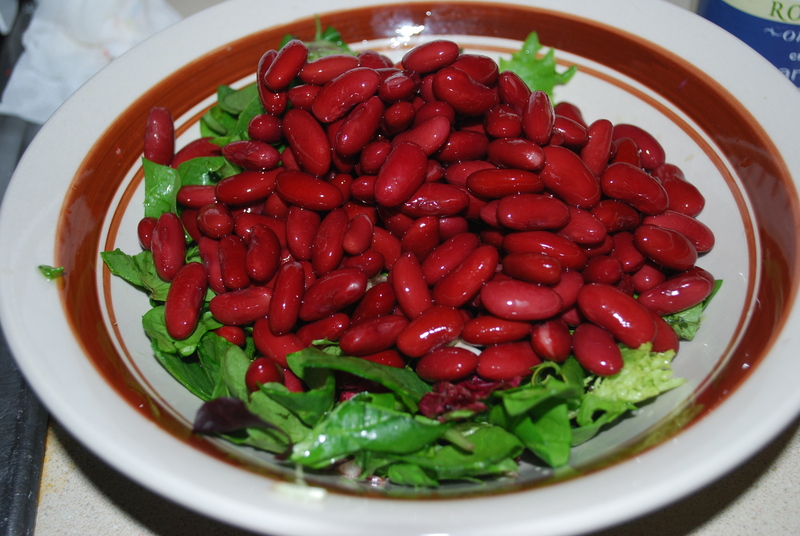 Next, add 1 15-ounce can of kidney beans that have been thoroughly rinsed and drained. 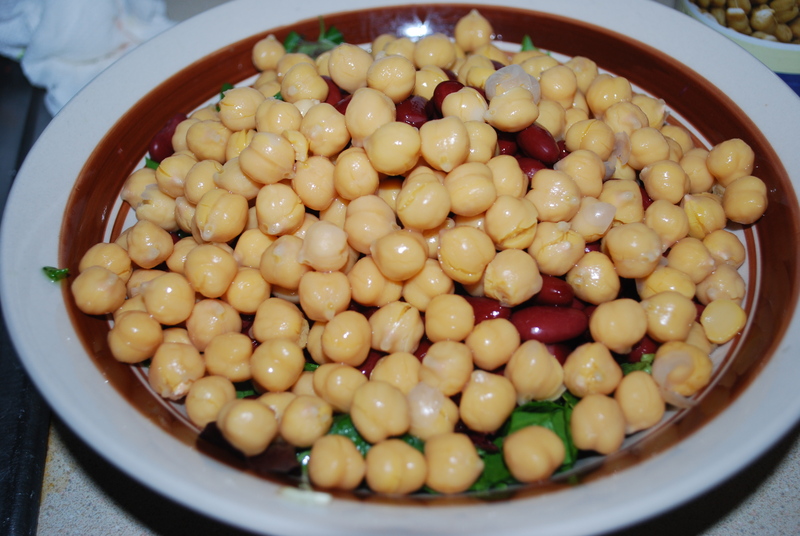 Add in 1 15-ounce can of garbanzo beans that have been thoroughly rinsed and drained. 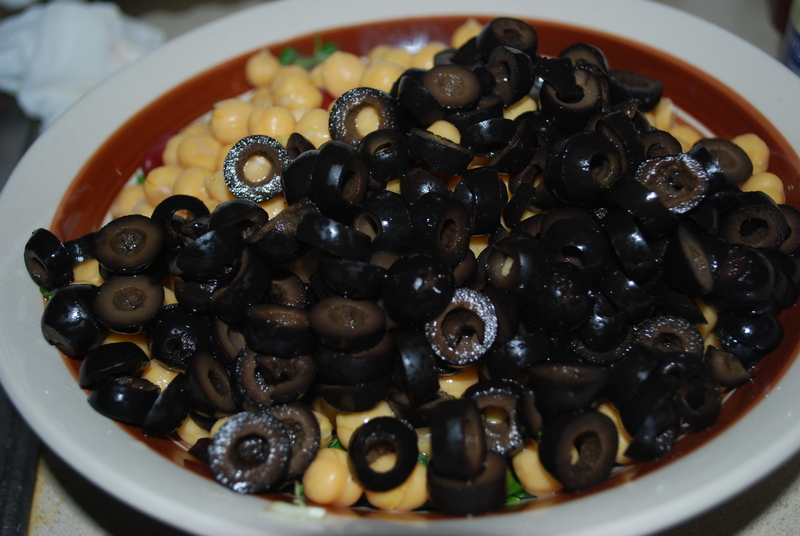 Add 1 2.5-ounce can of sliced black olives that you have drained and rinsed. Dice 1 Roma tomato and add into the salad. Dice 1 avocado and mix into the salad. Add in 1 boneless, skinless chicken breast that you cooked ahead of time. 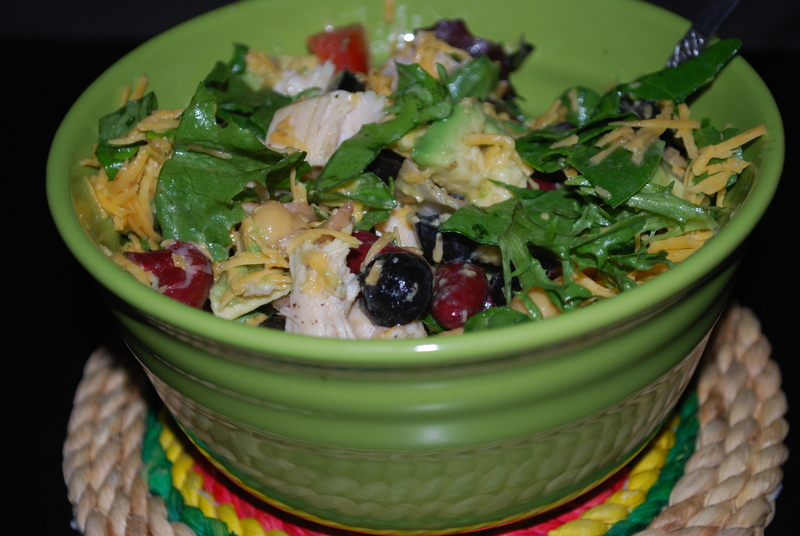 You could use leftover chicken from another dish or saute or grill some for the salad. 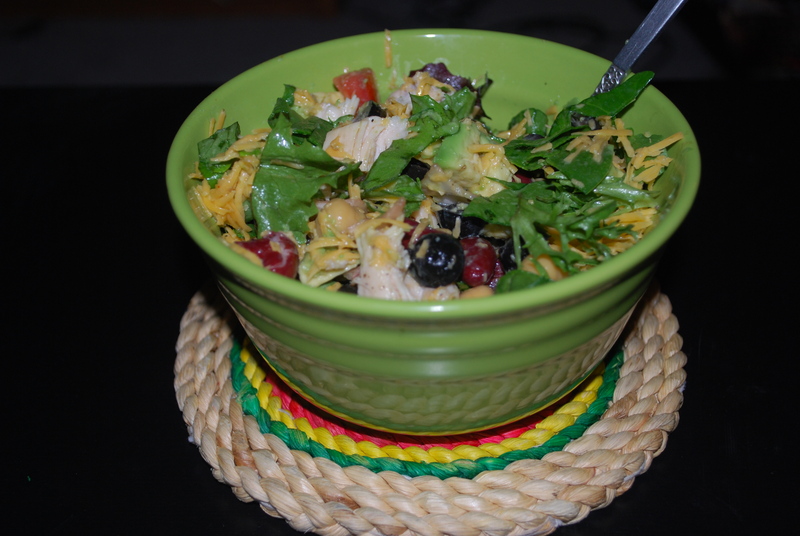 It was about this point that I realized my bowl was too small… I had to split my salad into two bowls. It was a lot bigger than I expected, whoops! Finally, top with 1/2 cup shredded cheddar cheese or a Mexican cheese blend. I used cheddar because I had a block in my fridge, but I think a Mexican cheese blend would be delicious. 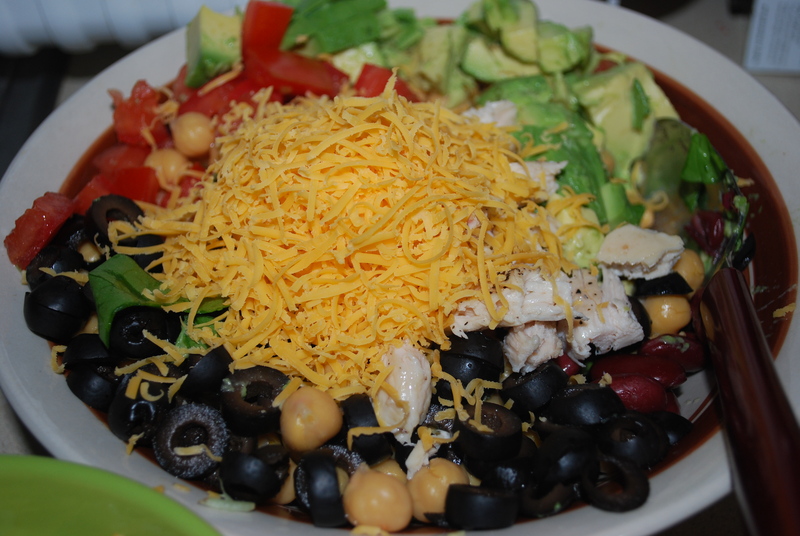 Now add in the dressing of your choice and toss to combine. Any dressing would do, but a creamy dressing with cilantro would be really good or any ranch-related dressing. 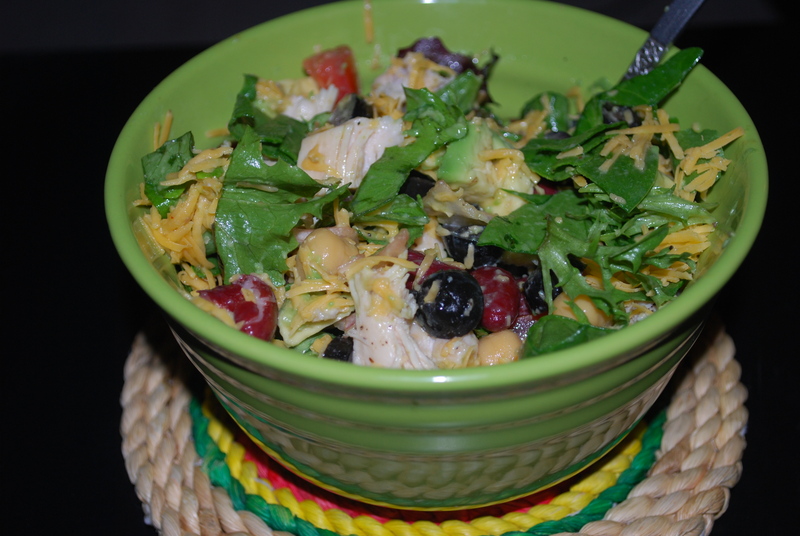 In large bowl, combine cooked chicken, mixed greens, kidney beans, garbanzo beans, black olives, avocado, tomato, and cheese. Add dressing to taste and toss to combine. 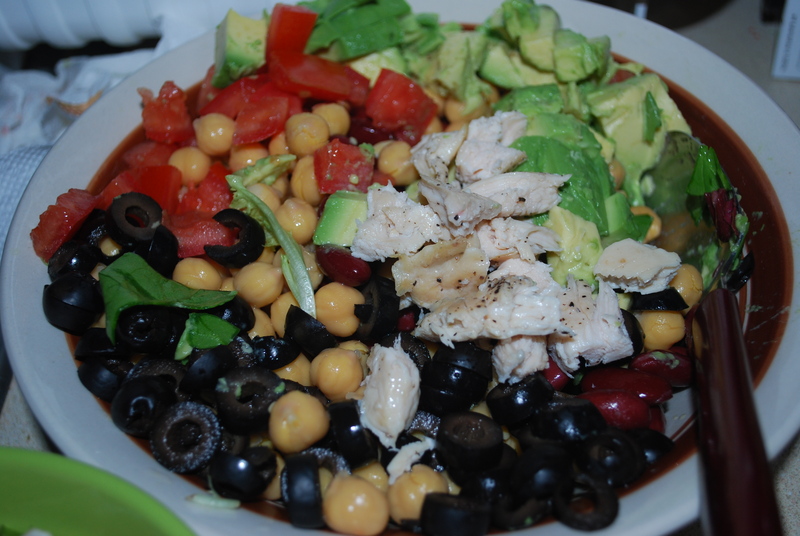 This entry was posted in Dinner, Healthy, Lunch, Salad and tagged avocado, black olives, cheese, garbanzo beans, healthy, kidney beans, salad. Bookmark the permalink.